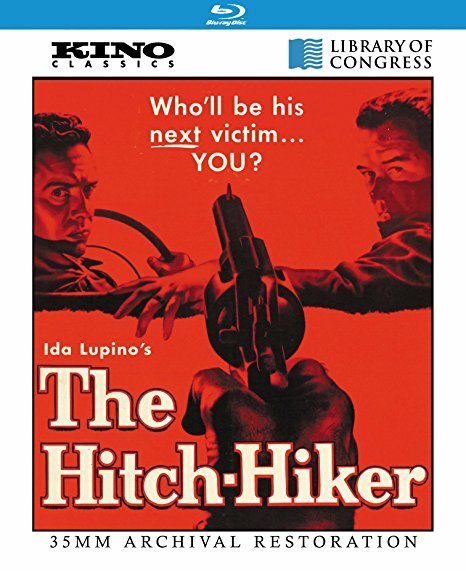 First and foremost, this Ida Lupino directed feature is a must see for those who haven’t yet taken the time to make an effort to catch up with it. 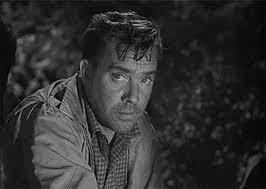 It’s a taut 71 minutes with a trio of actors up to the challenge including Noir poster boy, Edmond O’Brien. 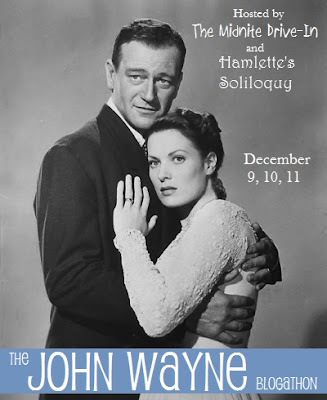 Along with Eddie is a well cast Frank Lovejoy and a deliciously, mean spirited performance by William Talman. 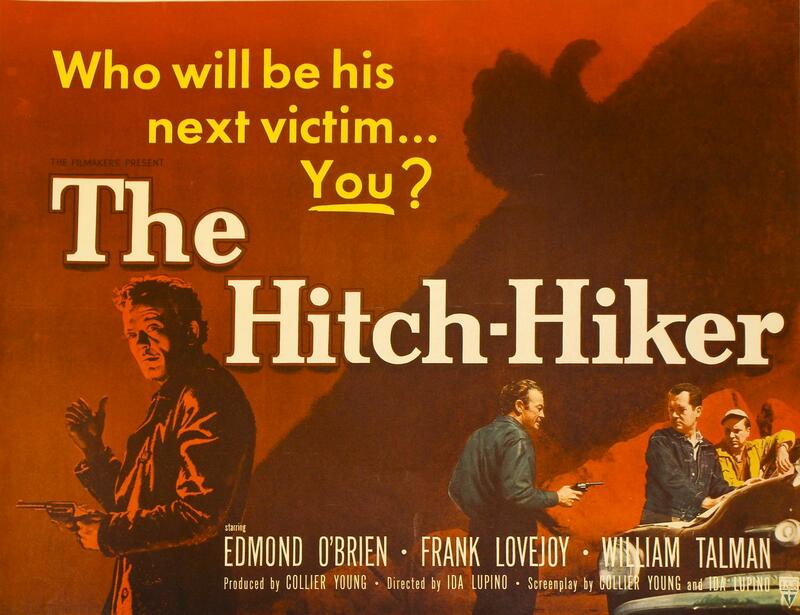 Hitch-Hiker begins with a twisted nightmare vision at a time when hikers were commonly on the road. A young couple make the mistake of picking up a killer and are murdered for their kindness. We don’t see the killer’s face but shortly thereafter he’ll leave another man dead along the roadside. It isn’t until a couple fishermen pick him up that we’ll see the face emerge from the shadows of their backseat. It’s a nasty looking Talman sitting behind O’Brien and Lovejoy with a gun in hand. 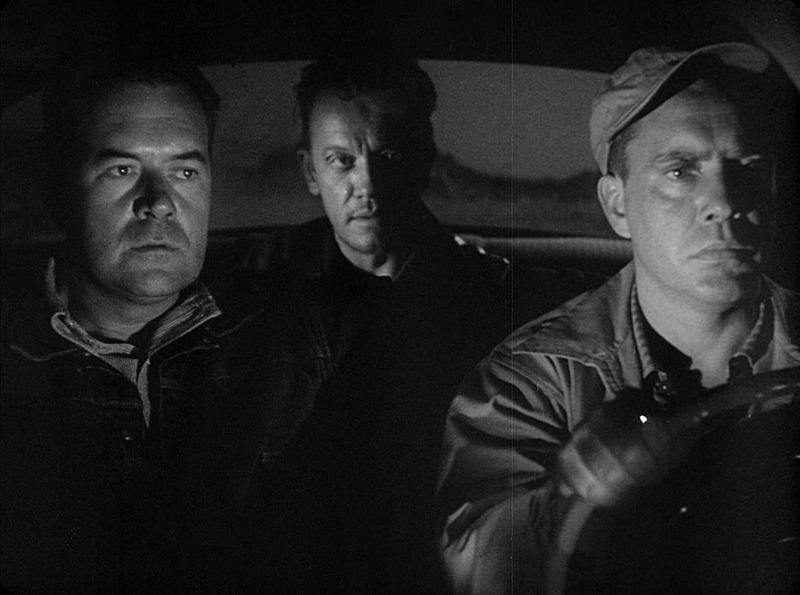 The pair of fisherman are about to embark on the road trip from hell. The trio will drift across the border into Mexico with Talman monitoring radio reports along the way on the car radio. 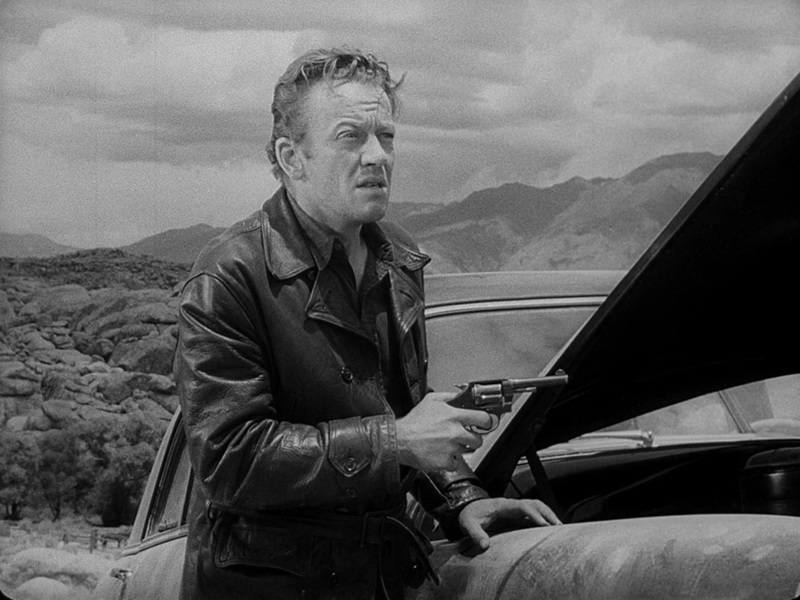 From the onset, Talman makes it clear that he’ll pull the trigger on either of them should they make a misstep but as the journey moves along, he’ll take sadistic pleasure in taunting them. Especially O’Brien who takes on a beaten look about him. His spirit is broken with the continual threats and close calls of Talman unleashing a hail of lead upon them. With O’Brien convinced he’s a dead man and the car broken down in the Mexican countryside, the trio will begin a long walk that will take them to their destiny’s. The noose is tightening as the journey continues, but on who? I really don’t want to play spoiler here so will instead focus on the performers and crew. 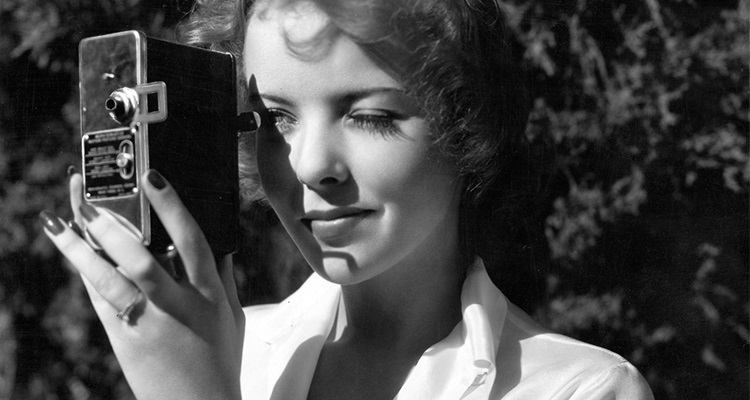 Leading lady Ida Lupino had by this point in her career turned her skills to directing. 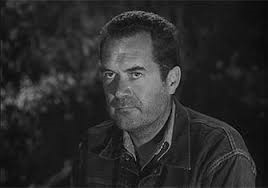 She’d also score a screenplay credit on this one and would also direct O’Brien in another feature released in ’53, The Bigamist in which she also starred. I think we as fans lost out when realizing Ida never directed another feature film till the 1966 comedy The Trouble With Angels. She did however lend her talent to directing some fine episodes of TV shows like Have Gun Will Travel, Thriller and The Untouchables among many others. O’Brien withered and beaten, Lovejoy represents the firm, steady hand that O’Brien will lean on. Truly a great example of independent film making at a time when the major studios were still controlling the bulk of the industry’s releases. The film was co-written by Ida’s husband at the time, Collier Young who curiously married Joan Fontaine after his marriage ended with Ida. 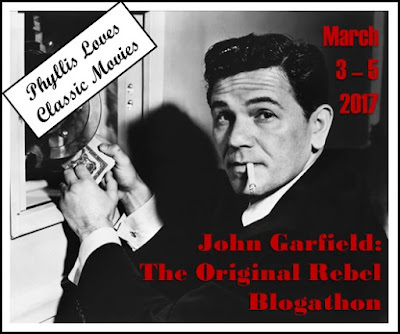 The trio all worked on Ida’s The Bigamist that same year. Sounds like a Hollywood story in here somewhere. I also spotted the name Christian Nyby in the opening credits listed as an associate producer. A quick check on my suspicions and YES, he was the credited director on 1951’s The Thing From Another World even though most of us film buffs assume Howard Hawks was the real director on that classic piece of science fiction. Hopefully my enthusiasm for this black and white thriller shines through and convinces you to seek out a copy via a TCM viewing or perhaps the Kino Lorber release on blu ray that I scored. It’s well worth the 71 minutes of your time and from there, multiple viewings are in order. 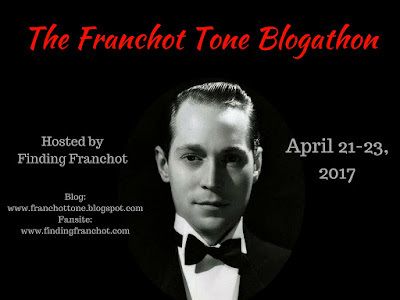 Second Rate Spies … Granger, Niven and …. Connery? 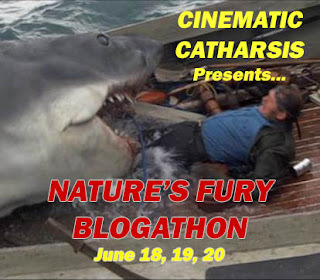 This is a superior film, with its fine acting and unobtrusive direction. Similar in theme are: ‘The Devil Thumbs A Ride’ (1947), (Lawrence Tierney), with its various character studies, and: ‘Jeopardy’ (1953), with Barbara Stanwyck and Ralph Meeker. I’ll look into the Tierney film. I like Jeopardy but it’s so short that it always feels like something missing to me. As you say, what a pity Ida didn’t direct more in the 50s. O’Brien, Lovejoy and Talman so good. Truly is. When I went thru the Have Gun series about 4 years ago, seeing her name always perked me up when the episode started. One of the best films ever made in my opinion. I consider this to be Ida’s best directorial effort. Have to agree with this being Ida’s best that I’ve seen. I’ve yet to see The Bigamist so will hope to do that soon. The Bigamist is great too. Enjoy. 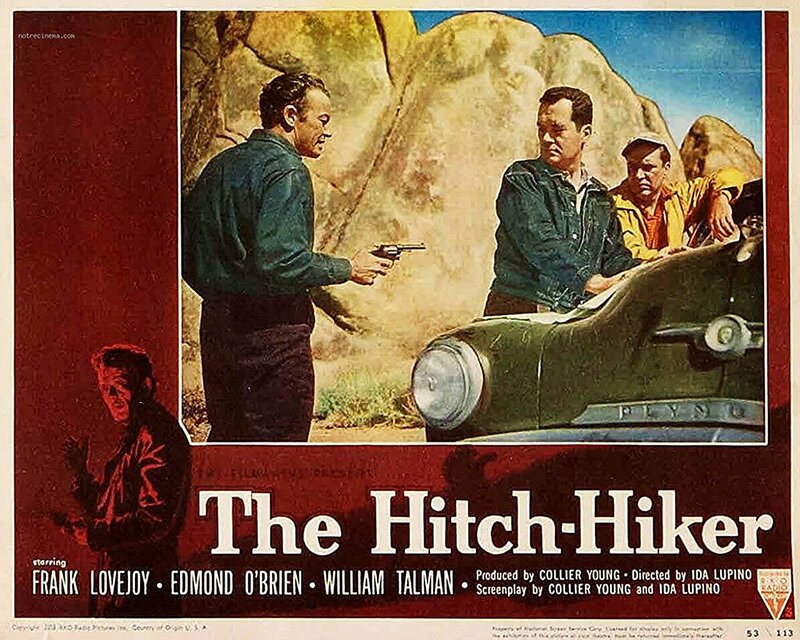 Oh how much did I enjoy the Hitch-Hiker. Such a brilliant film isn’t it. He’s so mean and dastardly. The three of them are excellent and what a grand exciting job Ida directs. Great flick and Dangerous Ground is just that, dangerous with Ryan on screen. I wanted to squeeze this one in when I was watching nothing but noir in November. I didn’t have time with everything else I was trying to feature that month. But it is still in my queue, as my appreciation for Lupino’s work behind the camera has been growing. I’m sure you’ll love it so don’t let it sit till next November. By then I might have watched it another couple of times with my sons. lol. I think I’m going to have a mini marathon soon of Lupino directed movies. 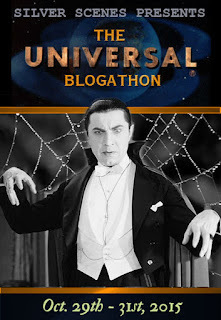 Yes, this one was quite good…and Talman made for a frightening bad guy (especially when sleeping with his eyes open!). And I agree, ‘The Devil Thumbs a Ride’ is worth checking out; some good stuff for such a low-budget film. 2 Votes for Thumbs a Ride moves it up the list. And yes that one eye open on Talman a creepy character trait. I just saw this one and was so impressed with it. It had my attention right from the start with the suspense it conjured up. Lupino’s direction is ace at propelling the story forward and keeping things tense throughout.